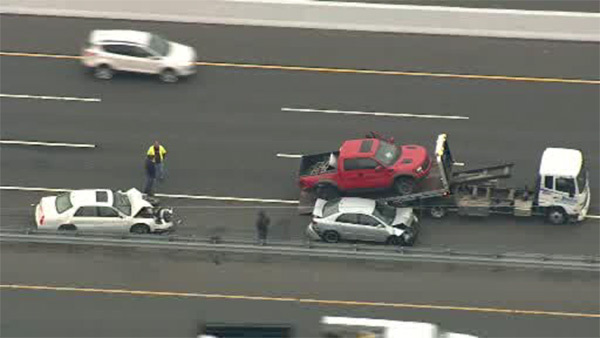 1 person hurt in NJ Turnpike crash in Mercer Co.
EAST WINDSOR TWP., N.J. (WPVI) -- One person was injured following a crash on the northbound lanes of the New Jersey Turnpike near exit 7 and 7a in East Windsor Township. The crash happened after 5:30 a.m. Tuesday when a car slowing down was rear ended by another car. The impact of the crash sent the vehicle off the road. One person is being treated at the scene for injuries.